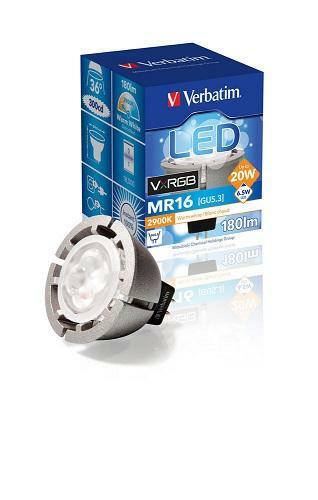 This Verbatim dimmable VxRGB Vivid Vision LED lamp offers excellent colour appearances and a much wider and richer spectrum than conventional LED light sources. VxRGB ensures that colours appear as they should do and illuminates objects in finer detail. Dimmability depends on transformer/dimmer combination - electronic transformers have a minimum load requirement.